When it comes to centrepieces the options are almost limitless. Typically your brain might leap to the idea of fancy flower arrangements and giant candelabra, but it isn’t necessary for centrepieces to be such a complicated – or costly – thing. There are many cost effective and simple ways to pull off a beautiful wedding table, and there is no reason why you shouldn’t be able to put it all together yourself. Use a tall cylindrical vase and fill it almost to the top (leave about 2cm) with sea sand. Now you can add a small candle if you wish or simply stick in a flower bud of some kind. Roses would work well, but whatever your favourite flower is should work as well. For a bit of quirk why don’t you skip the flowers altogether and have old fashioned soda pops make up your centrepiece? Use a large round tray and fill the tray with different types of fizzy drinks. There are many beautiful old fashioned sodas in glass bottles to choose from now days. And they look adorable. Use tall martini glasses and fill them with coloured sand. Add a few pretty flowers to the top and voila – cute and simple! 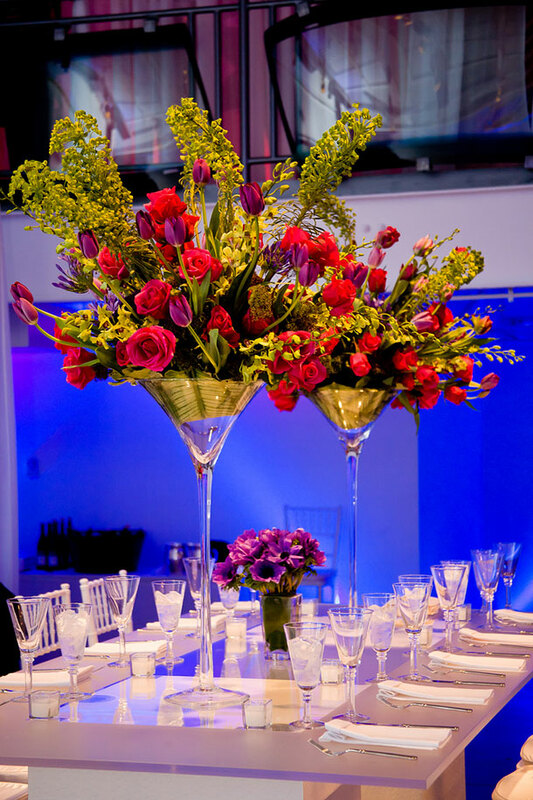 Use cylindrical vases of varying heights and fill them with coloured water. Place a floating candle on top and have the guests light the candles when it gets dark. Acquire fishbowl vases in three different sizes so that you can stack them on top of each other to make a sort of pyramid. Make sure the stack is stable by choosing the sizes wisely! Add water to the biggest vase and pop in a pretty flower of your choice. Put the medium vase on top of the large one, add water and a flower and do the same again with the small vase. You may also do this without water at all (much safer!) and simply let the flowers rest at the bottom of the vases.